See why international fashion mag Lucire described this as “the jewel in the crown” of Melbourne tours and NZ's Metro Magazine named it one of the top 10 things to do in Melbourne. 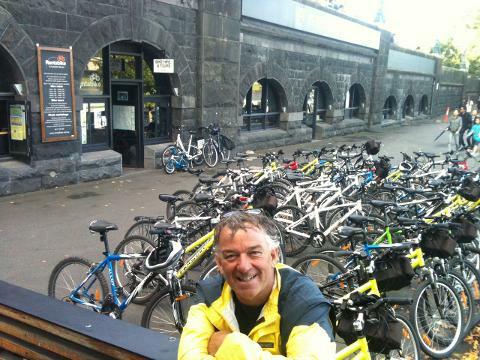 With Real Melbourne Bike Tours you'll see more in a few hours than most see in days. 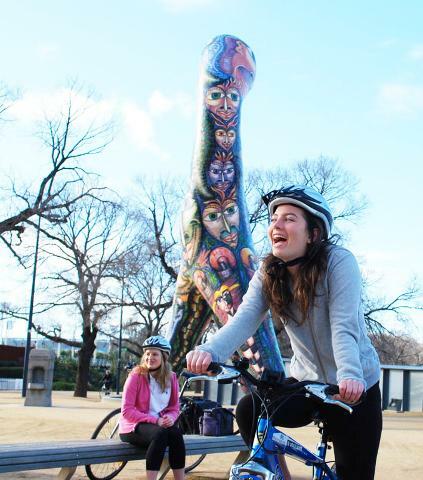 Get your bearings as you explore Melbourne’s grooviest streets, parks, shops, cafes, hidden laneways and multicultural neighbourhoods. 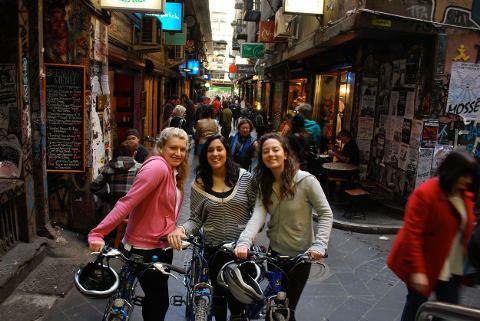 Experience real Melbourne hospitality and sample some gourmet treats on this leisurely ride with a local guide. It’s the perfect way to start any Melbourne visit. Discover the Greek tavern that has no menu, the men’s salon that gives you a free Aussie beer with every haircut, the shop that boasts 40,000 cookbooks, and lots more quirky “inside” info on the world’s most liveable, rideable city. Discover our best rooftop bar, best ice-cream and more as you rediscover the wind in your hair and the freedom of eco-friendly cycling. You can leave your luggage, bags and any other "stuff" at our riverside shop at Federation Square in the heart of Melbourne. 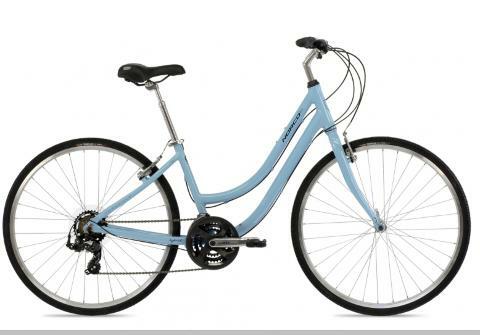 Our tours use our own fleet of light 21-speed hybrid bikes in a variety of sizes to suit all body types. 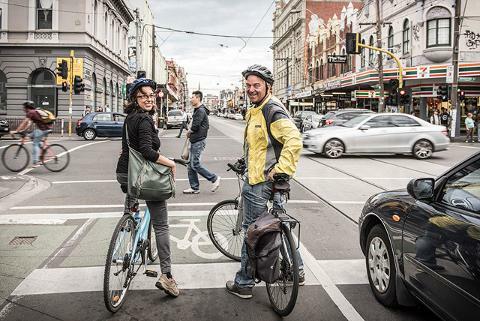 For just $20 you can even upgrade to an electric bike on the day if you like. We also have tandems, kids' bikes, tagalongs, baby seats, buggies. 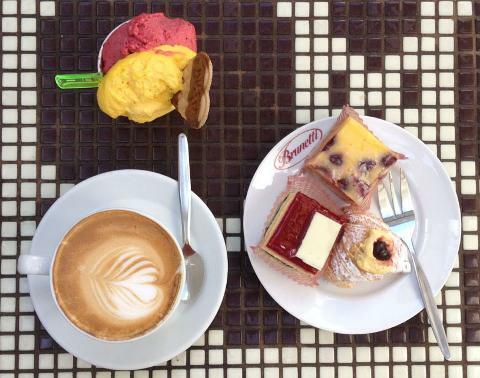 We offer a proper lunch, as well as free bottled water, coffee and a selection of gorgeous cakes in Little Italy as well as other treats along the way, which may include a beer tasting, glass of wine or ice-cream depending on the weather and your preferences. All our city tours have a maximum of eight people, although we can run private and corporate group tours for larger groups on request. 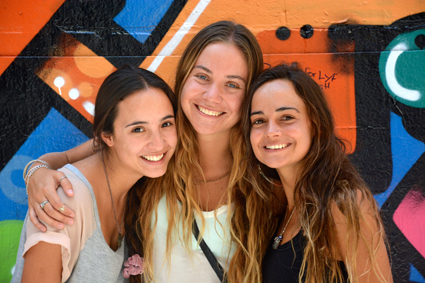 We're been serving Melbourne visitors since 2002. Our clients include Qantas and many of Melbourne's top state and private schools including MLC, Brighton Grammar, Loreto Mandeville Hall and Haileybury. 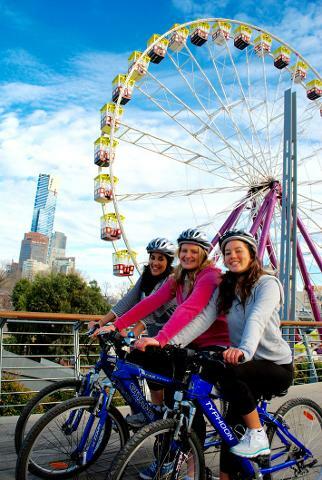 For more than a decade we have been the bike tour company chosen by Tourism Victoria to showcase Melbourne to visiting journalists, TV crews and tourism industry professionals. We have been featured in dozens of magazines, newspapers and TV shows overseas and in Australia, including The Great Outdoors, Coxy's Big Break, Postcards and most recently Getaway with Lauren Phillips. 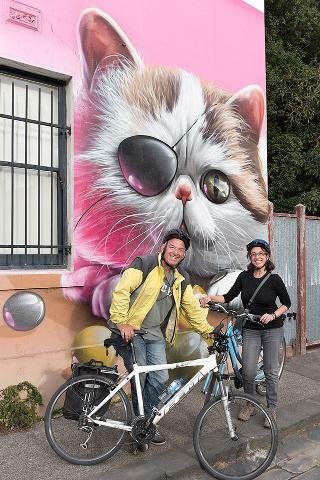 PLEASE NOTE: Minimum of two riders. 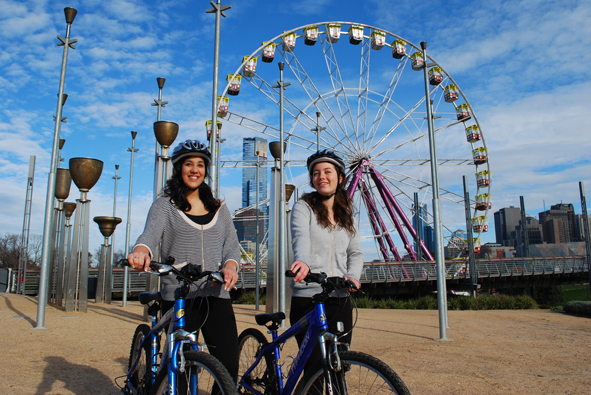 For singles, or bookings less than three days in advance, please email info@rentabike.net.au or call 0417 339 203 to check availability.